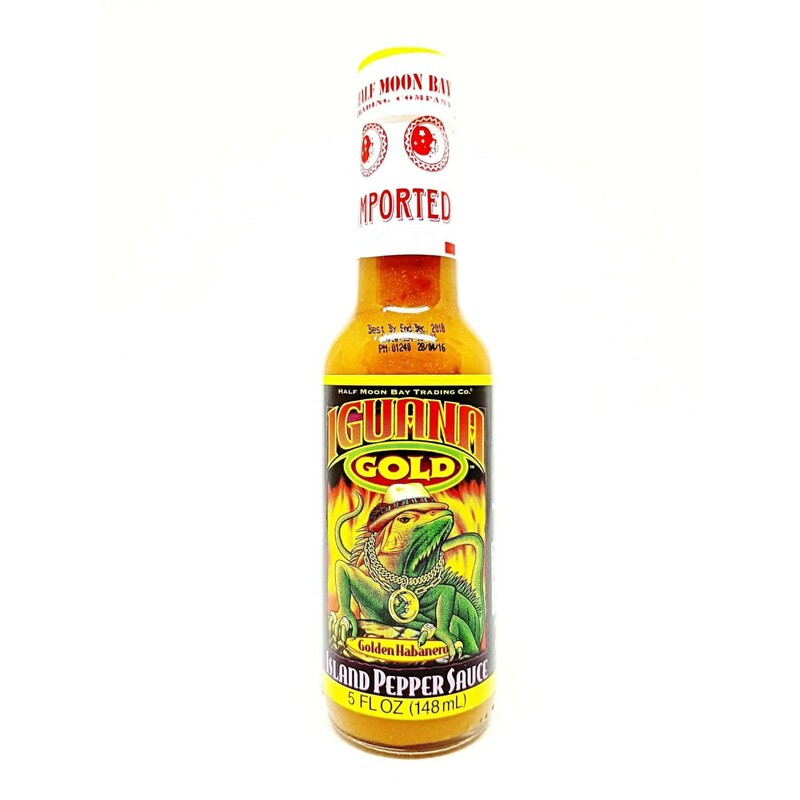 The habanero gods have smiled on Half Moon Bay, and the result is Iguana Gold, a medium-hot, deliciously tangy habanero and mustard-based Bajan-West Indian-style pepper sauce. 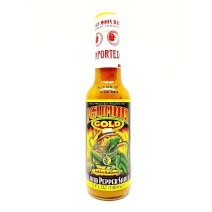 Fresh onion, garlic, carrot, cucumber, mustard and aromatic spices help tone down the heat a little on this complex habanero blend to give it a higher-than-typical “utility rate” – in other words, it's good on almost everything and tastes divine. Ingredients: Cayenne peppers, cane sugar, carrots, salt, onions, cucumbers, Habañero peppers, corn starch, mustard, vinegar, spices and garlic.